The Lead Clip is strong enough to be used with P.V.A bags or the arm can be cut back to achieve easier release of the lead. The enclosed split rings can be used for easy attachment of ready made rigs which terminate in a swivel or to provide a uni-link style joint. 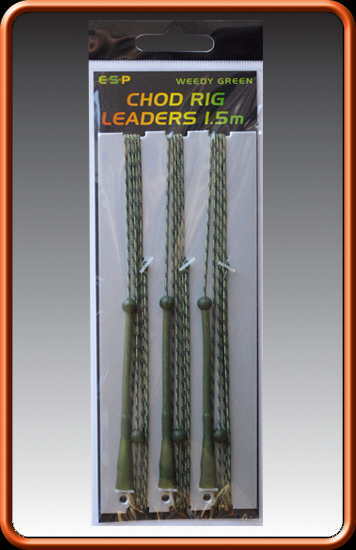 The 1.5m leaders are ideal for short to medium range up to 60m where the extra length helps to keep more of the terminal tackle firmly anchored along the bottom. E-S-P Leadcore is highly resistant, extremely supple and leaders are spliced at both ends to give a streamlined joint with maximum breaking strain. The 1m leader allows optimum rod compression and provides minimal wind resistance when distance casting. Made using 45lb ESP Leadcore and including Leadcore Stop Beads and the specially designed ESP Chod Rig Sleeve plus a quick change clip link to hold the lead. The Chod Rig Sleeve acts as a streamlined sleeve housing the lead retaining clip link and the extended section of soft silicone tube provides a shock absorbing buffer when playing fish and also prevents the hook point from coming into contact with the lead on the cast. ESP Leadcore is highly abrasion resistant, extremely supple and leaders are spliced at both ends to give a streamlined joint with maximum breaking strain. The 1.5m are ideal for short to medium range where the extra length helps to keep more of the terminal set-up anchored firmly along the bottom. The 1.0m leaders are excellent for long range casting. 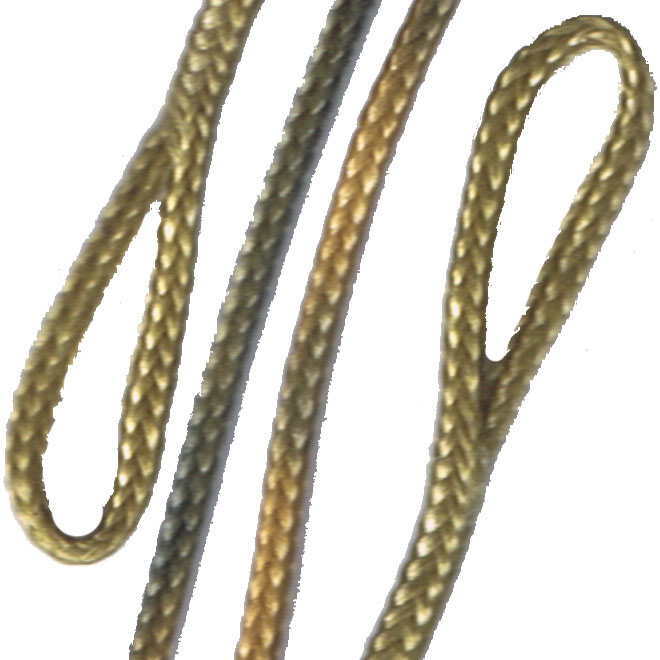 Ready spliced heavy core leaders 3' (1m) in length with a camouflage random length and colour variation.